This bag is part of the much sought after Jeff Koons "masters" collection. This particular clutch is the Mona Lisa Da VincI version with coral piping. The lettering is in silver as the chain, the lining describes the life of Da Vinci on one side and the life of Koons on the other. 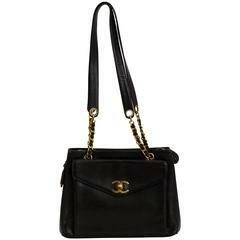 The strap is detachable, making the bag versatile, it is either a clutch or a shoulder bag. Strap drop is 8". Brand new in its original box and comes with booklet, dust cover, ribbon and shopping bag.